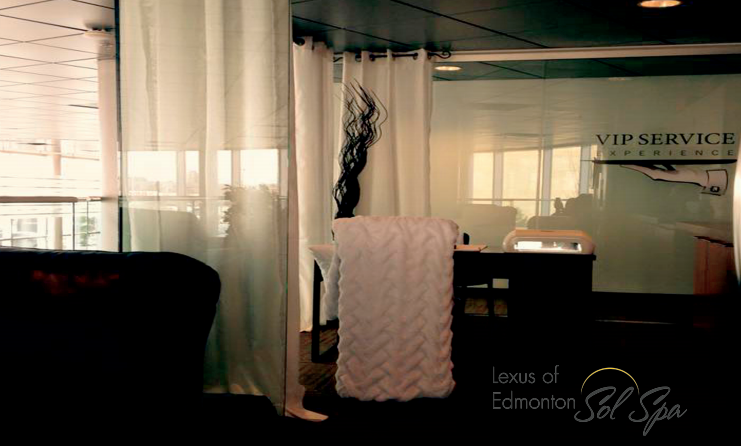 Get VIP Treatment at Lexus of Edmonton – Get Pampered with Massage Chairs & Valet Service. When you choose Lexus of Edmonton for luxury car sales, you get the VIP treatment. Our VIP service is exclusive to our Edmonton car dealership and includes massage chairs, express service oil changes, chauffeur & valet service, airport valet, special event tickets & more. Complimentary breakfast at Ricky's (Holiday Inn) while you wait for your service. Luxury Spa offering manicure and pedicures, work with paraffin wax, and relaxing massage chairs.